Hungary is one of Europe’s best-kept secrets: it has low living costs, excellent public education, virtually no violent street crime, inexpensive real estate, great moderate climate, 9% corporate tax, and lots of little-known perks like countless thermal baths all around the country and one of the world’s most beautiful capital cities, Budapest. With the real estate residency program exclusively available from us, you and your family members can get Schengen residency within a matter of months, and also get a slice of one of the most dynamically evolving real estate markets in the European Union. Once your residence permit based on your real estate investment is granted, your closest family members including your spouse and dependent children can get their permits on the grounds of family unification. Your residence permit will be based on the profits generated from your real estate investment. The easiest way to do this is to buy at least 2 apartments in Budapest and rent them for profit. The whole process is taken care of by us, you only have to make the key decision based on the options we have researched. First, you will incorporate a Hungarian LLC that will own and rent the apartments. Then you can select which properties you wish to buy from our carefully curated list. Finally, your residence permit is granted within 2-3 months. The permit will have to be renewed annually for the first 3 years, after which you can apply for permanent residency. 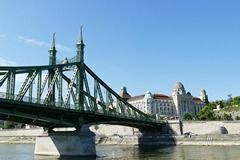 As Hungary is a full member of the Schengen zone in Europe, your Hungarian residence permit will allow you and your family to travel visa-free within the whole Schengen area. The minimum investment amount is EUR 200,000, which suffices for buying 2 apartments in Budapest. As the property market in Budapest is growing 15% annually, the profitability of the investment is practically guaranteed. Additionally, you will be required to pay EUR 20,000 for program fees and a 4% property tax after buying the apartments.